Mazda plans to unveil their sharply styled Minagi Concept SUV at the Geneva Motor Show on March 3rd (through the 13th) but thanks to an automotive news site from the Netherlands, we have our first look at the compact sport utility concept. As you can see in the image on the left, the Mazda Minagi Concept sports some powerful, aggressive styling and when it reaches production form, it is expected to sit just below the Mazda CX-7 in the brand lineup. Unfortunately, we probably won’t have any real details on the Minagi until the opening of the 2011 Geneva Motor Show but these images confirm this aggressive new styling coming from the Japanese automaker. This styling debuted on the Mazda Shinari Concept and while we can’t expect that supercar concept to reach US showrooms any time soon, the growing compact SUV segment could entice Mazda to offer this small ute in the US. This sharp styling may be too aggressive for some buyers but if you look at the growing popular of the anti-bland styling of brands like Hyundai, the age of boring Japanese cars like the Toyota Camry could be coming to an end. The 2011 Geneva Motor Show opens on March 3rd so we can expect more on the Minagi by then – if not sooner. 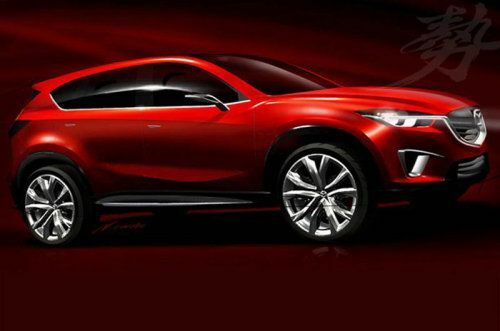 Check out the gallery below for a closer look at the Mazda Minagi Concept and stay tuned to TorqueNews.com for all of your breaking industry news!